Matt Hardy has been around since before The Attitude Era. While he may have technically made his name with the Hardy Boyz during WWE’s most popular era, he was around even before, making appearances as a young enhancement talent. Through the years, he’s made his name as a bigger tag team star. Through the years, he’s become a legend of the business. Also having dealt with several personal battles through the years, Hardy came out on the winning side. He seemingly rode off into the sunset in late 2018, but he left behind a body of work that can best be described as unforgettable. His career is like a highlight reel, with several great moments. We narrow them all down to five. 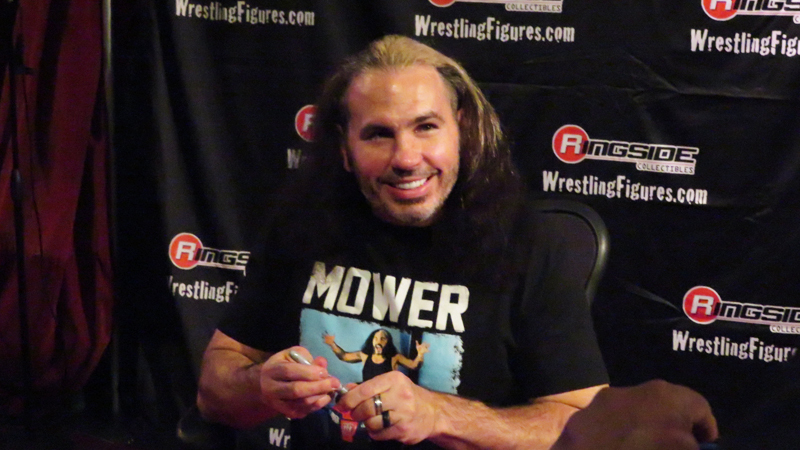 When Matt Hardy turned on Jeff in early 2009, it came as a major shock. While the two separated before to go for singles runs, it was never anything like this. The build to their big match at WrestleMania saw the two brothers get personal and ugly with each other. They decided that the best way to settle it was at the Grandest Stage Of Them All in an Extreme Rules match. The match was brutal in every sense of the word and Matt Hardy beat his brother, whose WrestleMania record got worse (Jeff Hardy never won at WrestleMania until his 2017 return). Their feud would carry on to the following month, where Jeff Hardy made Matt say “I Quit”.